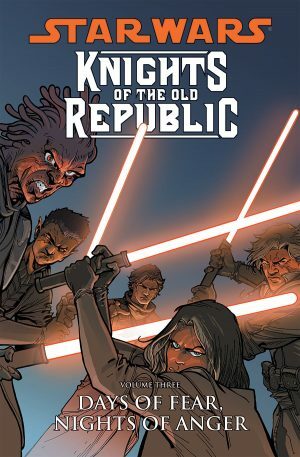 To the wider world Knights of the Old Republic is best known as a computer game, but the graphic novels take place slightly before the game continuity, and about 4000 years before the emergence of Luke Skywalker. 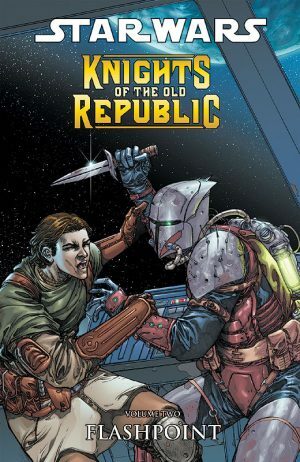 It’s a time of unrest, as a long running war with the Mandalorians is stretching the Republic. Some Jedi Knights believe they should be taking a more active role, but it’s not a universal view, with some elder Jedi considering monitoring the defeated Sith a greater priority. 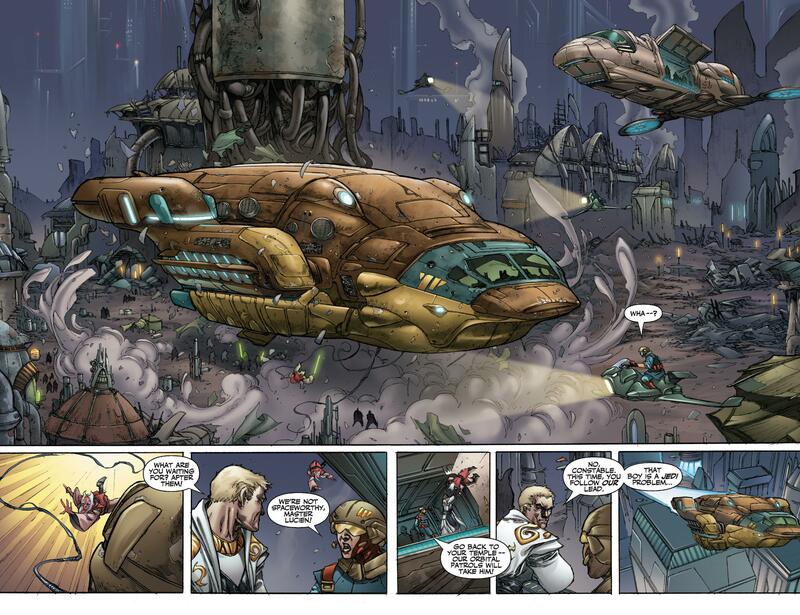 The situation is playing out in microcosm on the largely lawless planet of Taris, at the edge of the disputed border, where a group of Jedi and their padawan attempt to maintain order. John Jackson Miller places Zayne Carrick at the centre of his story. He’s dedicated and courageous, but a clumsy trainee, unlikely to make the grade for elevation to Jedi Knight at the ceremony being prepared in the opening chapter. As that ends, Miller begins his real story, which is Zayne on the run, entirely uncertain where he can find help and who might be an ally. Crises make strange bedfellows, and Zayne is stuck with small time crook Gryph, who has the cunning and resourcefulness he lacks. There’s a looseness about Brian Ching’s art, which combines well with the grimy locations he creates for events largely set in the seedier and deprived areas of Taris. The sample spread is a spectacular fusion of mood and detail, really bringing home a poisonous industrial area, and Ching’s good like that throughout. His people are over-rendered, and less would sometimes be more, but it’s a method that becomes ingrained, and defines them. Miller’s plot isn’t in any way original. In fact with its theme of likeable rebel outsiders gathering against an implacable entrenched administration, the template is blindingly clear, but he rolls it out very enjoyably. The innocent Zayne gradually becomes competent through life preserving necessity, and Miller surrounds him with an exotic cast of misfits. 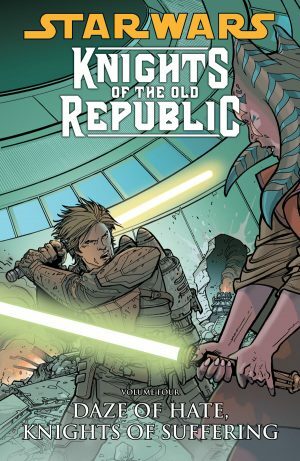 The reason for Zayne’s predicament is clarified in the penultimate chapter, and the final page displays a very different person than the one who began the graphic novel, a man with a purpose and resolve, although there’s a clever revelation about that in a later volume. 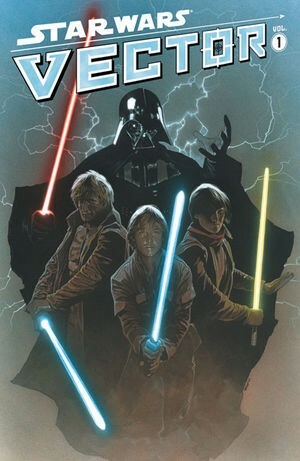 It’s been a thrilling journey, if predictable in places, but that’s down to Miller following the original Star Wars template, so the strength of the series is how it continues now the basics are established. 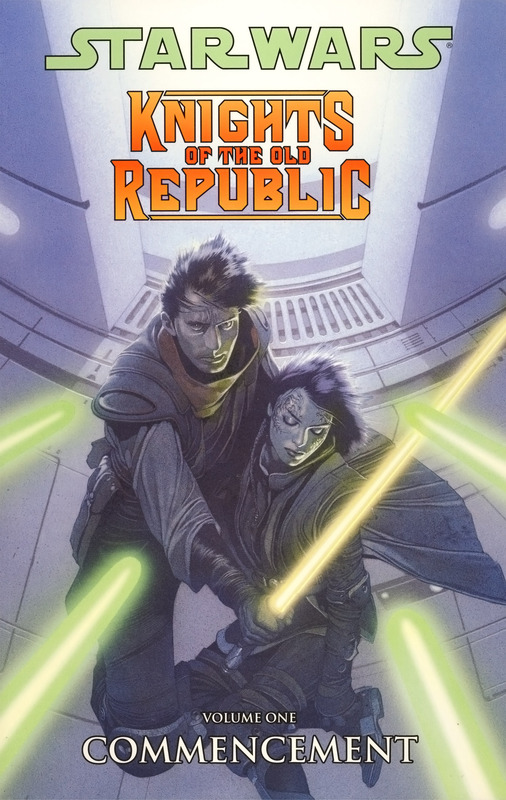 Commencement is followed by Flashpoint, then Days of Fear, Nights of Anger, all now more readily available as part of Star Wars Legends: The Old Republic Vol. 1.